This is the BEST brownie recipe. So moist. These intensely rich, decadent bakery-style brownies from scratch have the crackly top we all love. PREHEAT oven to 350 degrees and line a 9x13 inch pan with foil. Grease or spray the foil with vegetable oil. In a saucepan, melt the butter and chocolates on low; stirring. Remove from the heat. In a bowl, whisk the dry ingredients together; set aside. In a mixing bowl, beat eggs on high until blended. Slowly add the brown and white sugar. Beat for 10 minutes or until tripled in volume. Now fold in chocolates and vanilla, then the dry ingredients. Pour into the prepared baking pan. Bake for 28 to 32 minutes or until toothpick inserted in the center comes out clean. Do not overbake. Cool. 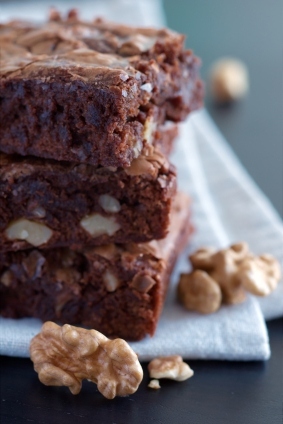 My best brownie recipe - is so easy to prepare and wonderful; by Paula Deen. 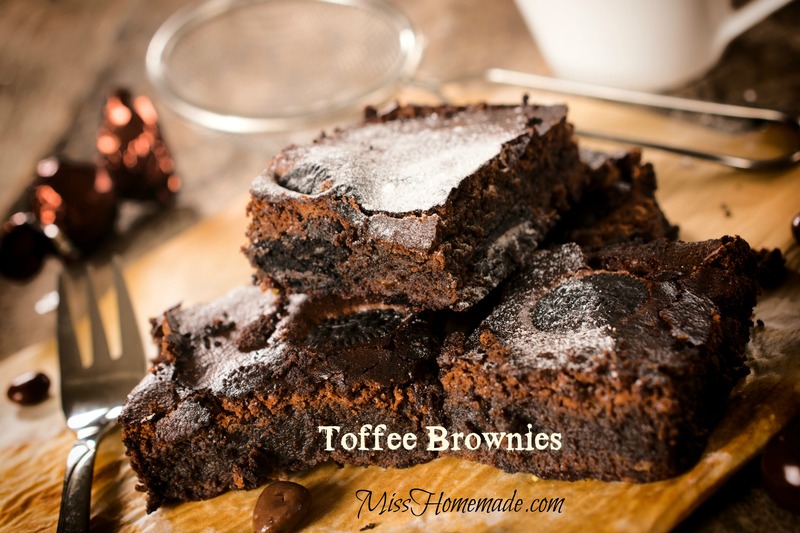 Bake a pan of brownies in a 9x13 inch pan (homemade brownie recipe above). Cool brownies completely. Crumble brownies into the bottom of large glass bowl. In a plastic resealable bag, crush candy bars. Keep approximately 1/4 cup for garnish, and sprinkle the remaining crushed candy bars over brownies. Do NOT mix. Prepare the mousse as directed on packages except increase milk by half of the amount called for in the instructions (So if it is 1 cup milk, you would add 1-1/2 cups milk). Pour mousse mixture over the brownie and candy - do NOT mix. Cut slits in brownie/candy mixture so mousse can seep to the bottom of the bowl. Spread cool whip over the mousse and sprinkle with the remaining 1/4 cup crushed heath candy bar. Cover with saran wrap and refrigerate for 24 hours. Before serving, you can drizzle caramel sauce over the top, or on each serving. Cream the first three ingredients together in a mixing bowl. Add powdered sugar and milk; beat to spreading consistency.